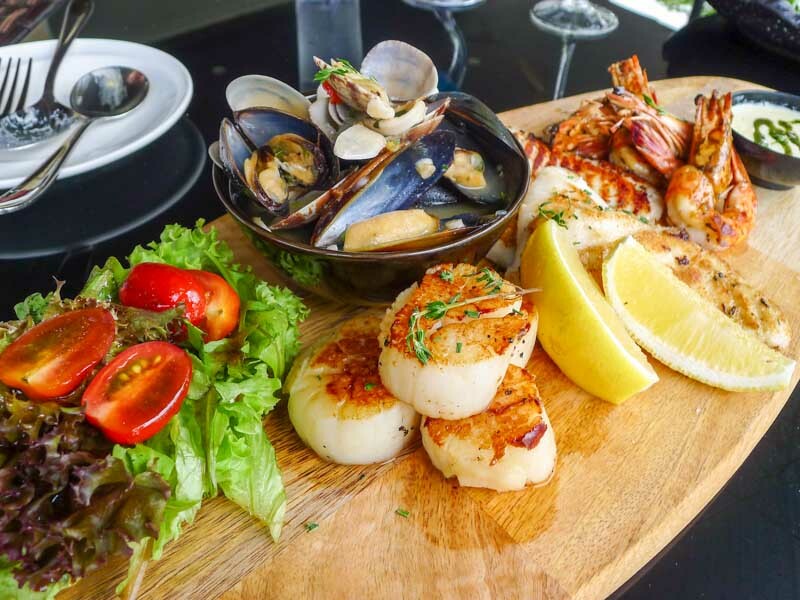 There’s no better way to enjoy fresh seafood than dining just beside the beach, with the salty sea breeze wafting through the air. 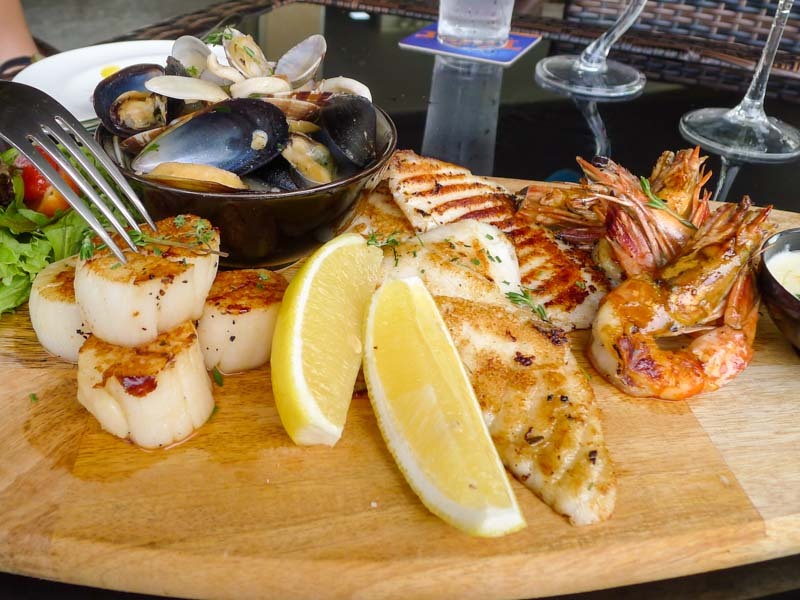 At The Seagrill, you’ll get to savour an assortment of fresh catches as you relax next to the ocean. 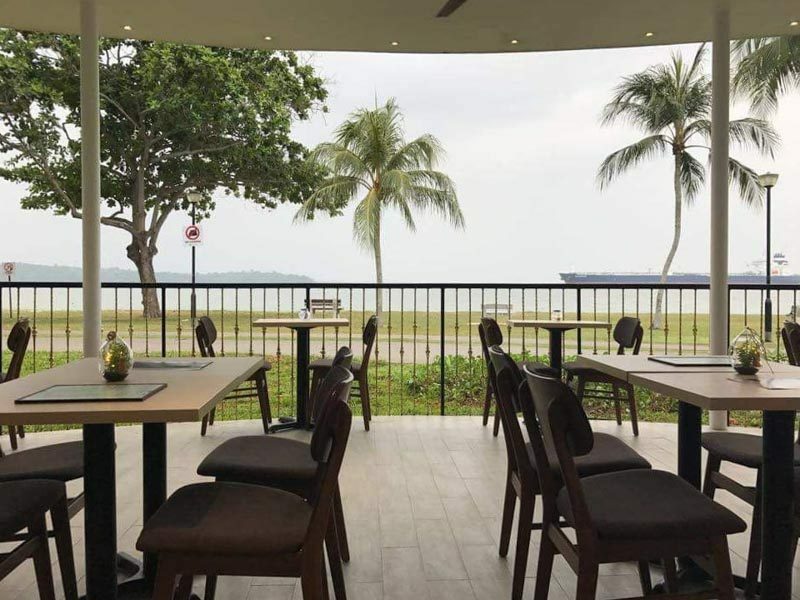 Tucked away on Changi Beach, you can enjoy your meal in a tranquil dining space at this restaurant. 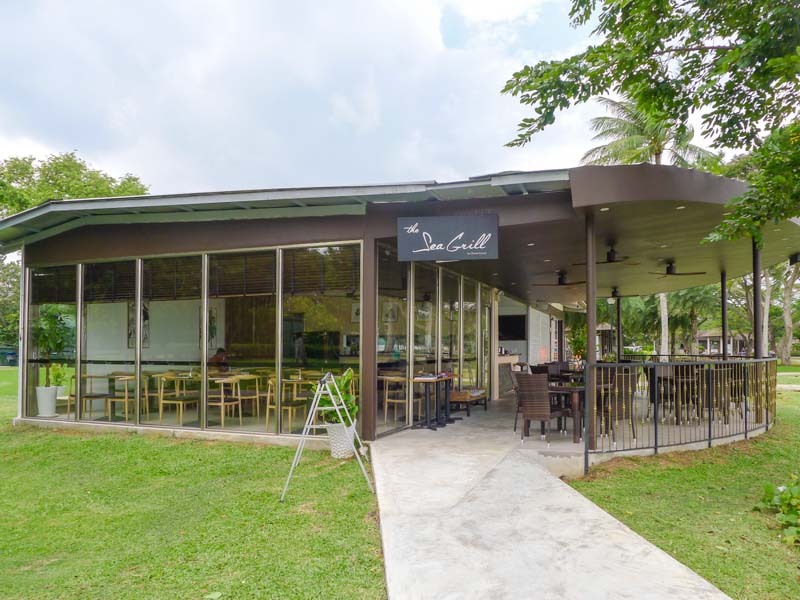 Both al fresco dining and indoor seating are available, so you can dine in the comfort of air-conditioning or be at one with nature on the patio. We had the Seafood Butternut Italian ($11) as a starter, and I felt that it was already quite filling on its own with the chockful of delicious seafood. Served with a side of fragrant garlic bread, the butternut soup was smooth and very rich. The addition of flavours from the squid and prawns also lifted the normally quite jelak butternut taste. The huge piece of juicy scallop, in particular, was my favourite. It was tender and fresh, and retained the slight briny taste. 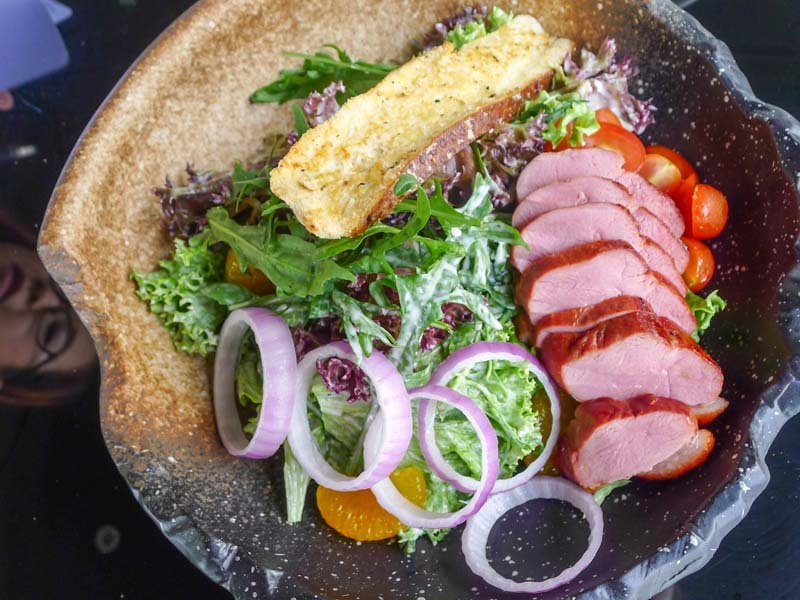 We decided to add some greens to our meal with the Smoked Duck Breast Salad ($15). Caesar dressing and cheese was sprinkled over the mesclun salad, which added a flavourful burst to each mouthful. 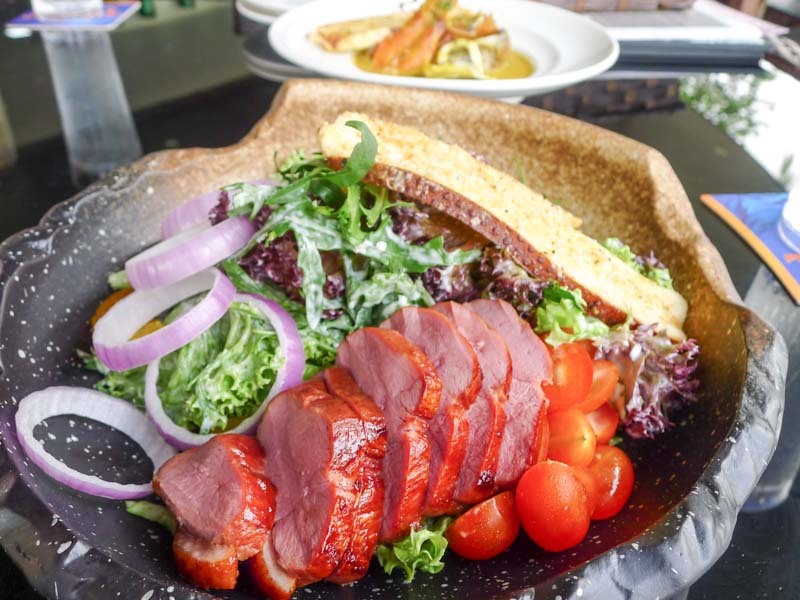 I especially enjoyed the thick and juicy duck breast slices that were chewy and slightly gamey, which went well with the contrasting flavours of the tangy orange slices that helped to open my appetite. Now, it’s time to feast! We got started on the mains with the Grilled Seafood Platter ($38). Just the sight and aroma of the scallops, prawns, white fish and mussels was enough to make my mouth water. The grilled scallops were juicy and lightly sweet and I liked how they fell apart easily, yet had enough bite to be chewy without being rubbery. The fish was light on the palate, and went well with the lemon pesto sauce. The texture of the fish was enjoyably tender, and I liked that I didn’t even have to use a knife to cut through it! While the prawns on the platter were huge, I felt that they could be juicier if they were grilled for a shorter period of time. 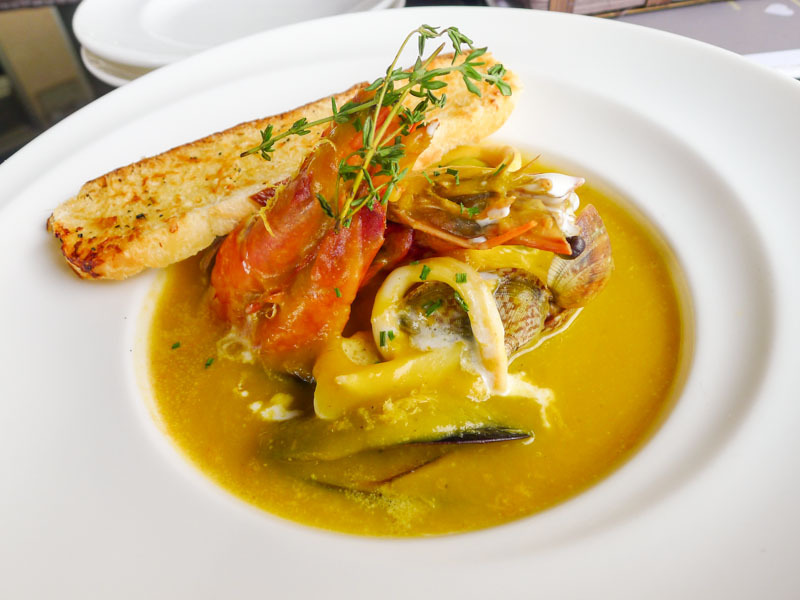 The mussels stood out from the other items because it came in a bowl of savoury stew. The chilli uplifted the dish with a slight spicy kick, which I found it quite an interesting addition to the grill platter. 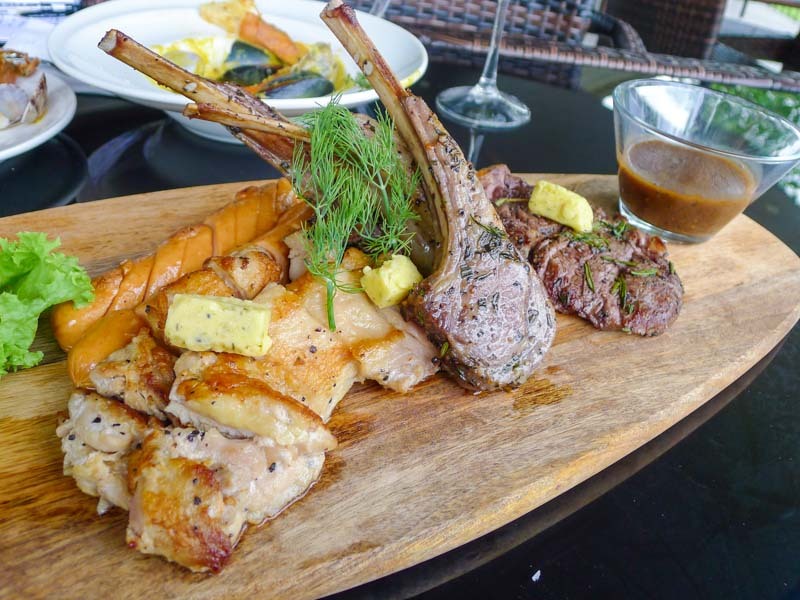 They also have other meatier options, such as the Seagrill Meat Platter ($40), which would be a good portion for sharing. It comes with cheese chicken sausages, grilled chicken, ribeye steak and roasted lamb. Because there’s always room for dessert, we decided to try two of their bestsellers. The Lava Chocolate Cake ($14) was simply divine. The moment I cut into it, warm chocolate lava oozed out of the cake. Mmmm, it was sinfully good! The dish was made in-house, and I liked the nice touch of scattered pumpkin seeds around the plate, which added an interesting texture to the rich dessert. Finally, we also tried this exotic-sounding dessert: the Cempedak Crème Brulee ($14). It was a riot of flavours and textures in my mouth. 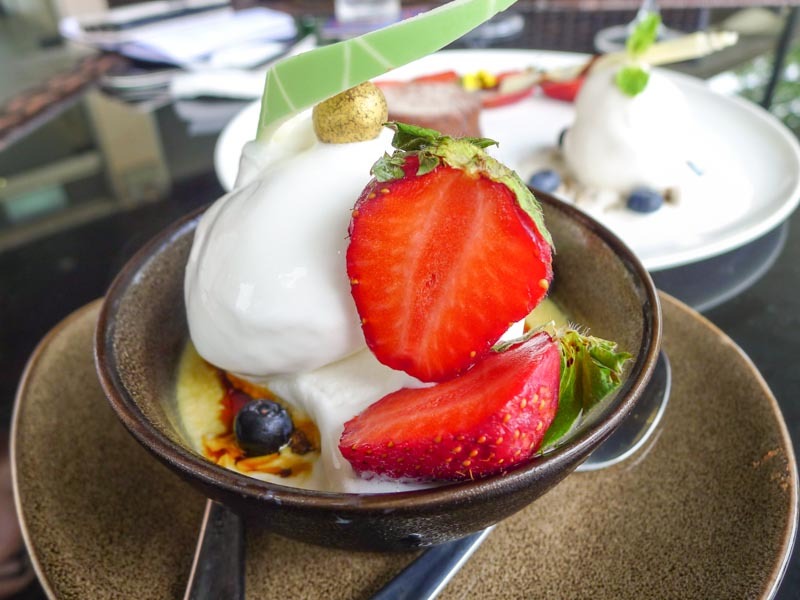 The dessert was topped with a scoop of coconut ice-cream, which had a strong fragrance. Cempedak bits were layered at the bottom, and gula melaka sauce was drizzled over the concoction. A sweet ending to a good meal! 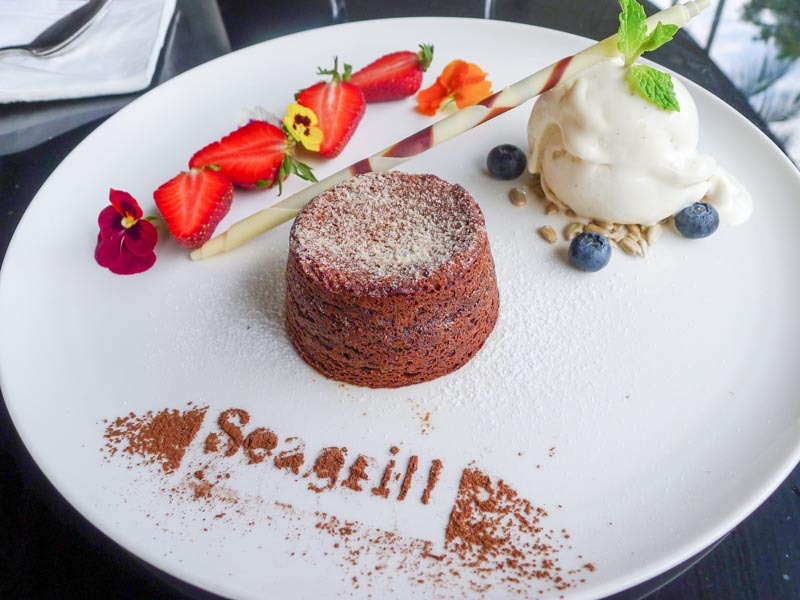 If you’re looking for a dining spot to chill with great grilled seafood, The Seagrill is a must-try seafood restaurant. It might be a bit of walk, but strolling along the beach is bound to work up your appetite!